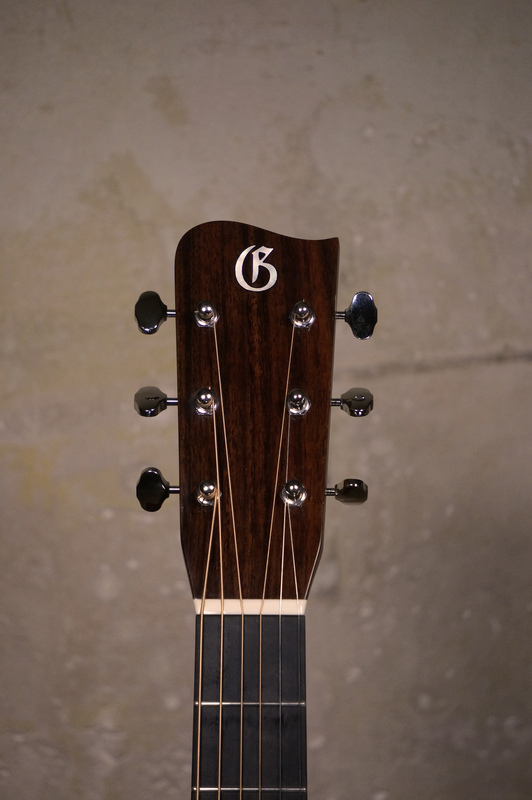 Introduced in 2015, the GA-35 is built for performance. 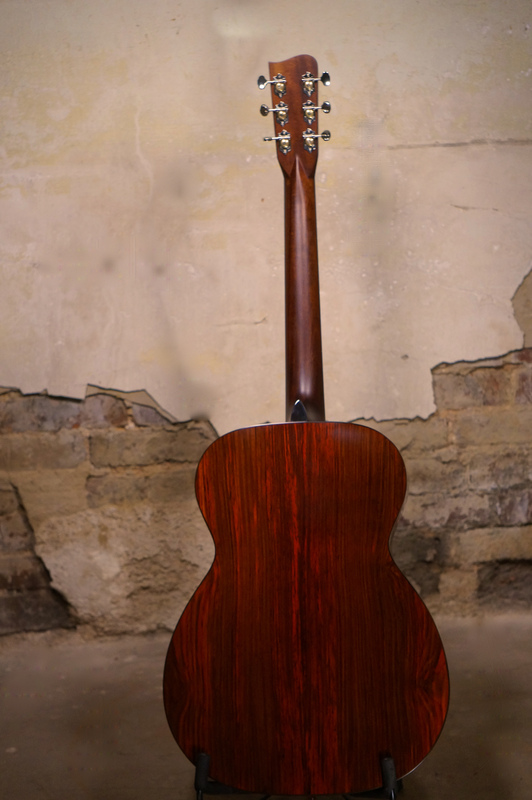 The GA-35 has Cocobolo back and sides that pair nicely with an AAA Englemann spruce top, which give the guitar a strong presence with balance tone. 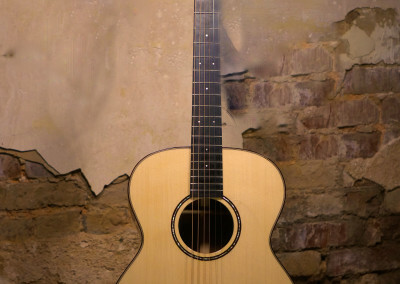 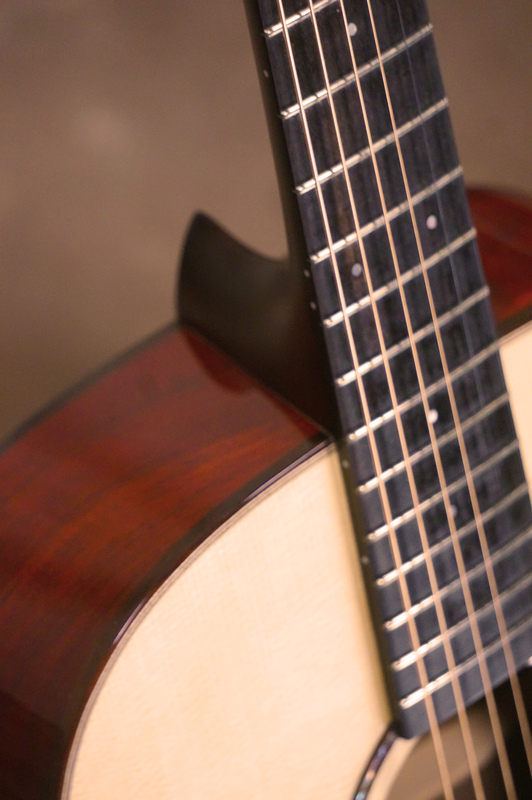 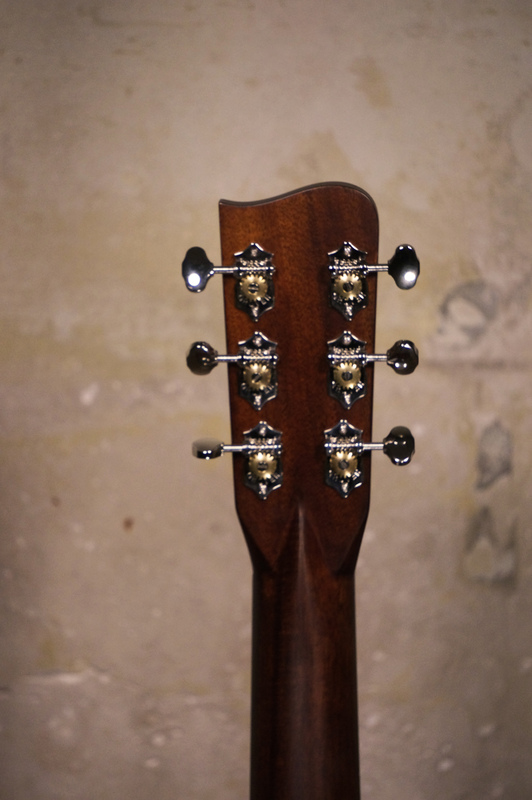 It is built with a C-shaped neck and a 1 3/4″ nut. 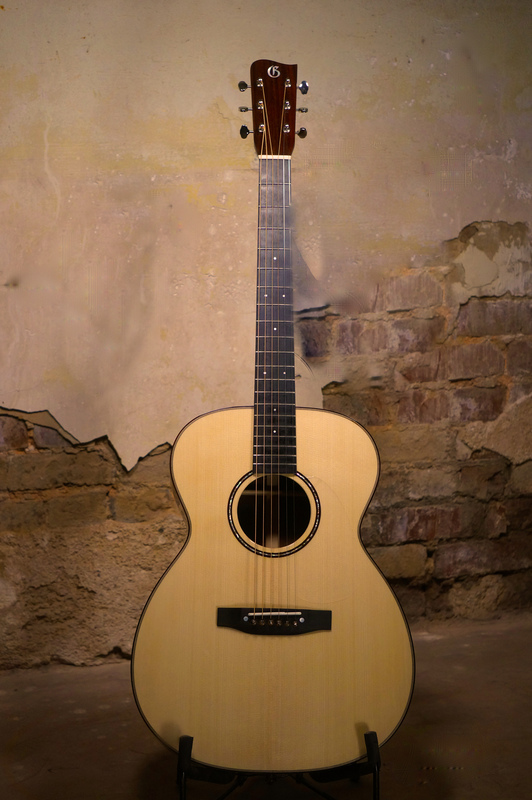 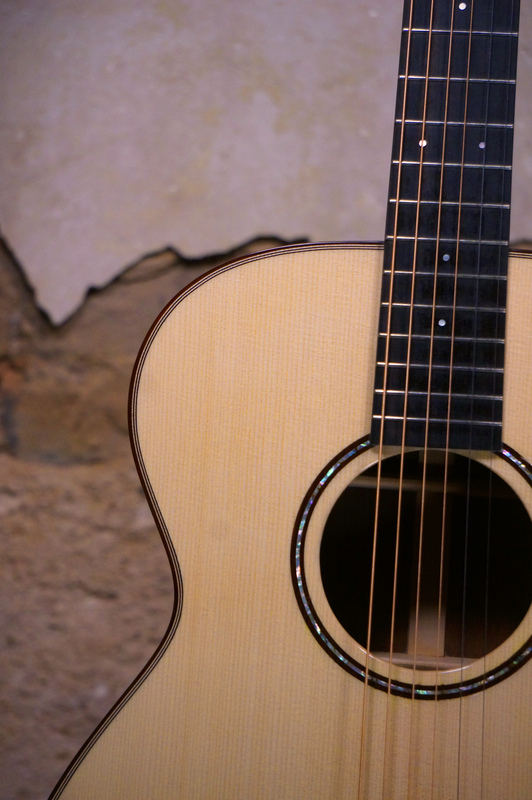 Abalone inlay with rosewood trim around the sound hole and a black white black purfling bound with rosewood make the body simple and elegant. 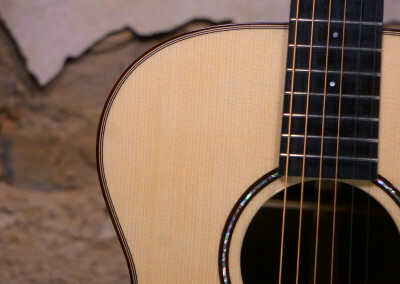 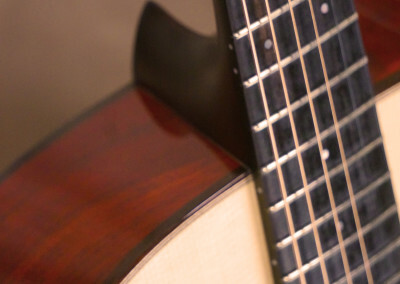 The fingerboard is unbound for long-term functionality and has 3mm dot inlays. 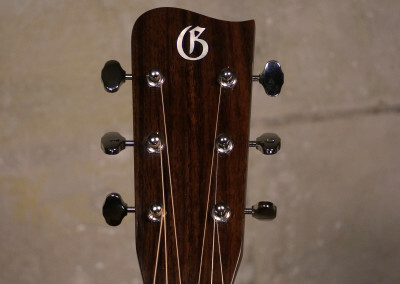 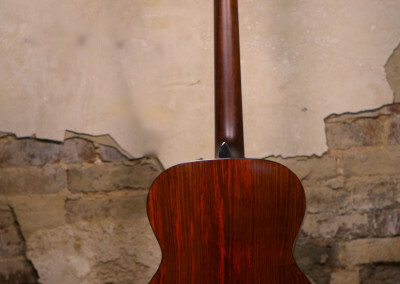 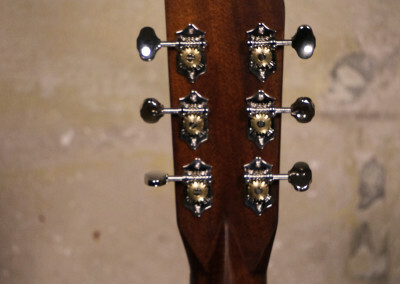 The headstock is unbound rosewood with Grover open-gear tuners.